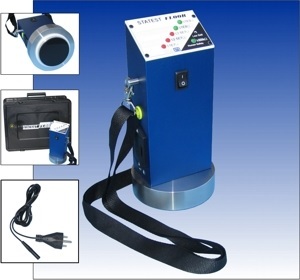 Indispensable tool to "see" static charge and protect yourself to prevent Static Electricity Damage. Also to verify effectives of applied counter-measures against Static Electricity. Small, handy, pocket size and supplied with soft, protective etui. Small cost and great benefits. Point to point resistance check. 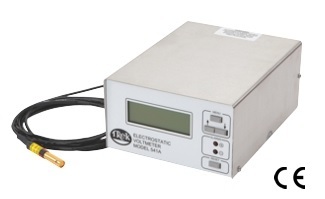 RT-1000 tests resisitivity, humidity and temperature of all conductive, antistatic and static dissipative surfaces for electrical resistivity/resistance according to the EOS/ESD CECC, ANSI, ASTM, UL, NFPA, Military, and EIA test procedures. CT8900-BC-E-3MD Complete Three Station Test System with: Self powered RS232 cables, Door Locks, Bar Code Badge readers, and 6 port serial card. to 10-Mohms range for wrist straps and 750kohms to 100Mohms range for footwear. both wrist straps and footwear. range for wrist straps and 750kohms to 100Mohms range for footwear. wrist straps and 750kohms to 100Mohms for footwear). for wrist straps and 750kohms to 100Mohms for footwear). Just mount the hardware and plug into a standard AC outlet. Best value. Reliable, worry free, digital, microprocessor controlled. 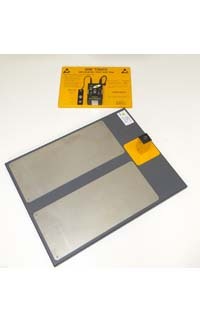 hardware kit for easy installation without a need for a licensed electrician. relocation of the test station if needed. Easy installation. Just mount the hardware and plug into a standard AC outlet. 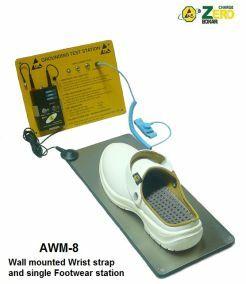 wrist straps and 750kohms to 100Mohms range for footwear. straps and 750kohms to 100Mohms for footwear). cord meets the range of the required resistance. 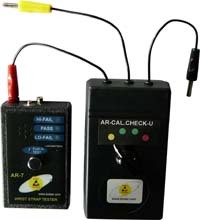 a manufacturer or a distributor for a periodic calibration check. Approve a complete Workstation in less than 30 seconds! testing of conductive floor coverings, table mat's, chairs and trolleys. 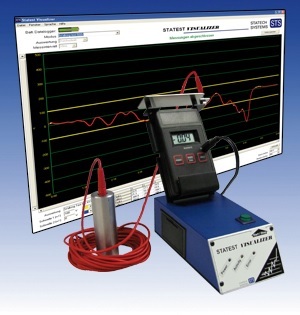 The Static Visualizer is a 12-bit A/D converter with special software for the simple analysis of electrostatic processes. 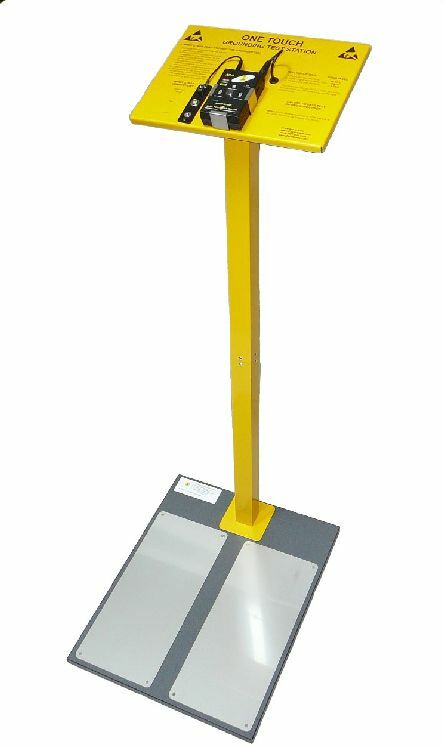 All field strength meters and charged plate monitors with an analog output can be connected to it.